I have tried to resize (shrink) my NTFS partition so that I will be able to get more space for my ext4 Ubuntu's (12.04 64 bit) partition but after the partition has been resized I am unable to mount it. I used Gparted to do this. I assume there is a problem somewhere with the partition table but I do not know where and how to fix it. or the NTFS boot sector is corrupt (NTFS size is not valid). The device '/dev/sda5' doesn't seem to have a valid NTFS. After few minutes of digging I have found this guide which uses ntfs-3g package to recover broken ntfs partition. Great tool! I can recommend it to everyone. 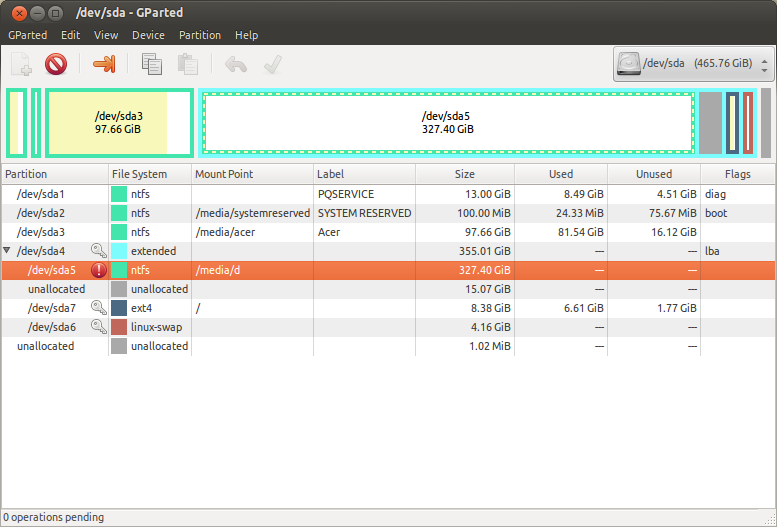 Where sda1 is the NTFS partition with the issue. After that command and next restart into windows, it will check the disk and things will work fine again. Not the answer you're looking for? Browse other questions tagged partitioning ntfs gparted resize or ask your own question. Why when I retrieve the list of partitions it only gives me one result? USB stick shows up as two drives!